1.5 in. thick vinyl padded seat. 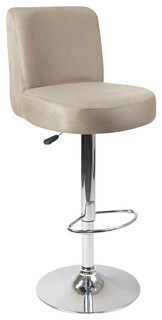 360 degree padded swivel seat backrest. Non-marring floor glides. 0.63 in. O.D. foot rings welded to each leg by four contact points at each leg for added rigidity. Holds up to 300 lbs.. Adjusts up or down and forward or back. Steel contains 30-40% of post-consumer waste (recycled). 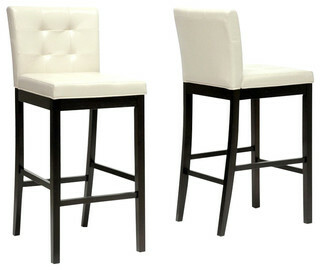 Meets ANSI and BIFMA standards. Warranty: Five years for material. 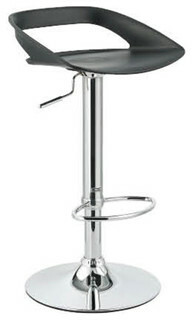 Seat height: 24-28 in.. Our Premium Padded Swivel Work Stool with Back offers the ultimate in workplace comfort while standing up to long-term use & abuse. 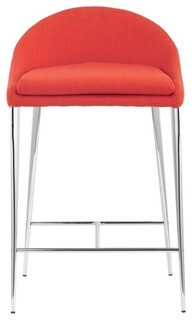 The chair features a 360 degree padded swivel seat and convenient height adjustment from 24 through 28 inches. 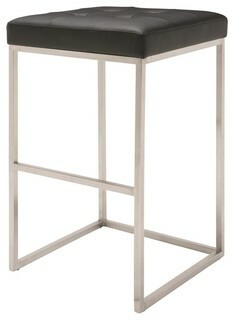 You’ll never get tired of sitting at the drafting table with this innovative stool with optional backrest. 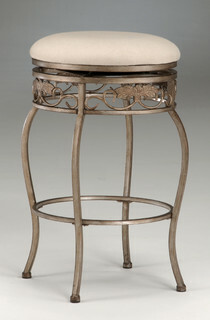 This rather chic looking stool will make a great statement in your home. 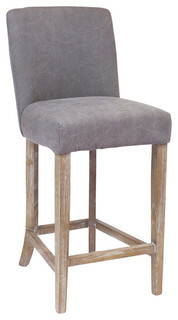 Adjustable to the right height for bar seating this great swivel stool includes a padded back for great support – no uncomfortable squirming after an hour of sitting in a backless chair.